Here. Why is all this Lon Johnson propaganda crap sounding to me much like a Snyder road traveled before? Folks, all that is missing in this scenario is the tactical words in the title above that Snyder used to entangle us deeper into Obamacare Medicaid Expansion with Estate confiscatory provisions. Here we go again. 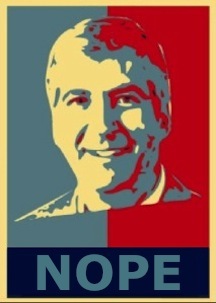 Blame the Republican Majority legislature (well, the scant few that are fit to address as Honorable) for everything that doesn’t aid Snyder with more unaccountable spending for his crony capitalist press release schemes. I’m tired of it. I’m tired of agency bureaucrats wasting tax dollars with Hollywood nonsense harassing us to give more money to them that’ll be wasted anyway. As you can read elsewhere here on RightMi.com, others are tired too. I’m also tired of the game played with having to bird dog our legislators in both chambers maintaining Big Government status quo, and more so, I’m tired of the denial by the state Party apparatchik that thinks Rick Snyder merits a second term in office. He does not. I’ve issued the challenge here before because if there isn’t a viable option presented soon, the only reason I’ll have with going to the polls in November, is Ruth Johnson. The rest just simply haven’t earned their keep. ← Michigan’s Fictitious Budget Surplus, Our Roads, What to do with a so-called $1.3 Billion Surplus? This is getting damned near time for torches and pitchforks. For a guy who claims to be "a numbers person", he certainly does a piss-poor job of working with what is currently available. As a matter of fact, he is utilizing the exact same tactics of labor supported groups like "Raise Michigan" (just give us more money and everything will be alright!). Glaring problems aside like citing any working examples of Keynesian economics that have actually worked in practice, the guv is going to have one hell of a time this fall differentiating himself from democrats. Not to mention finding true conservatives willing to support his re-election campaign.